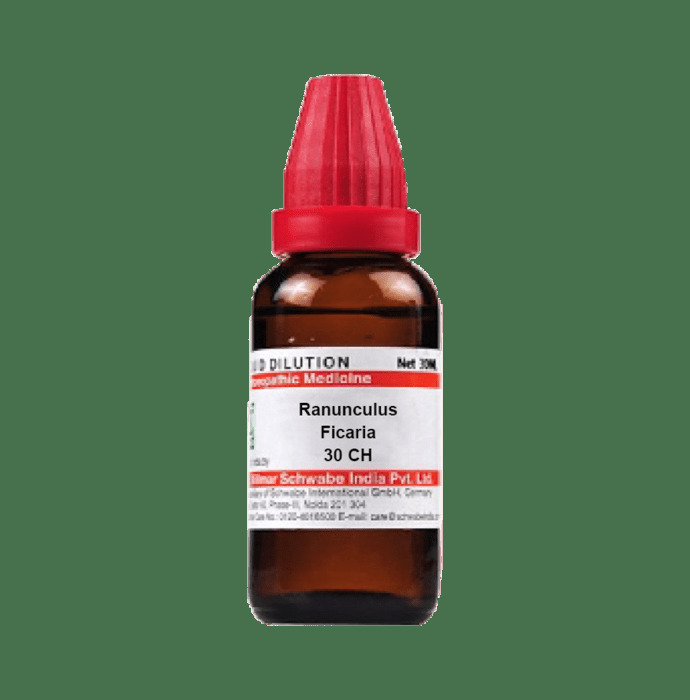 Dr Willmar Schwabe India Ranunculus Ficaria Dilution has been used for thousands of years in the treatment of haemorrhoids and ulcers. It is widely used as a remedy for piles and is considered almost a specific. It is also applied externally to perineal damage after childbirth. Some caution is advised because it can cause irritation to sensitive skins. Take 3-5 drops two to three times a day and it is recommended to take as directed by the physician.